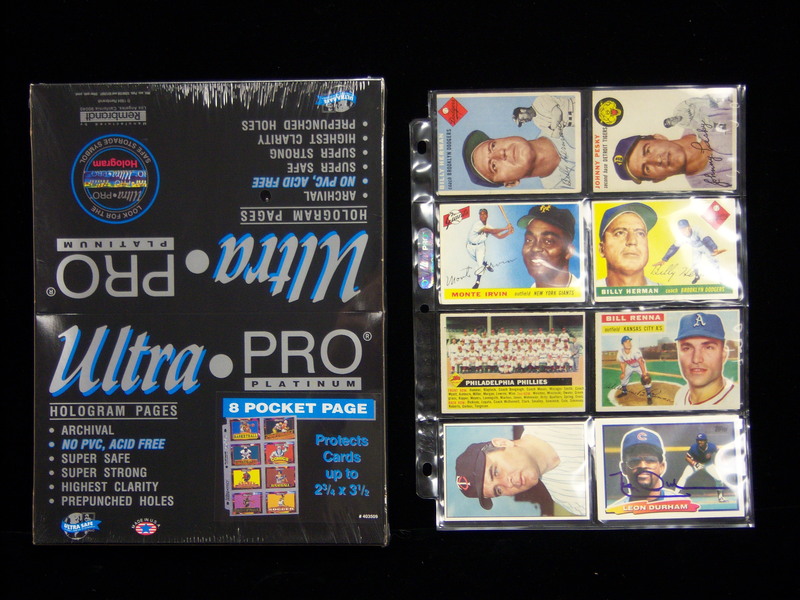 Kevin Savage Cards is pleased to place up for sale an unopened box of 100 Ultra Pro 8-Pocket pages. These pages will hold vintage-era cards(1952-1956) or items measuring "up to 2-3/4" x 3-1/2". These pages are top-loading. Ultra Pro is one of the most trusted names in the hobby today with NO PVC, NO ACID pages and to top it off, THEY ARE MADE IN THE USA!! !